Is It Safe to Eat Fish During Your Pregnancy? Women who are pregnant need to eat plenty of foods that are high in docosahexaenoic acid (DHA) (a type of omega-3 fatty acid) to ensure proper brain and eye development that occurs during pregnancy and in early childhood. DHA and its omega-3 cousin eicosapentaenoic acid (EPA) are found primarily in fish and seafood. The important thing to understand is that DHA from fish is precisely the type of omega-3 fatty acid that all pregnant women need. There are. Plant sources of omega-3 fatty acids include flaxseeds, pumpkin seeds, soy, walnuts and a lesser amount in other seeds and plant-based foods. The problem is that the plant form, called alpha-linolenic acid (ALA), isn't the form of omega-3 fatty acid that humans need, so your body has to convert it to EPA or DHA. For most of us, the body does an excellent job of that. The problem is when you’re pregnant and breastfeeding you need extra DHA, and your body might not be able to convert enough for both you and your baby. So a woman who is pregnant or breastfeeding needs to consume enough DHA for her needs and the needs of the growing baby. One solution is to take DHA supplements that are usually made from fish oil (or algae if you prefer a vegetarian/vegan version). But a better way for pregnant women may be to include fish and seafood into the diet. For some years, experts have told pregnant women not to eat fish and seafood for fear of mercury contamination. 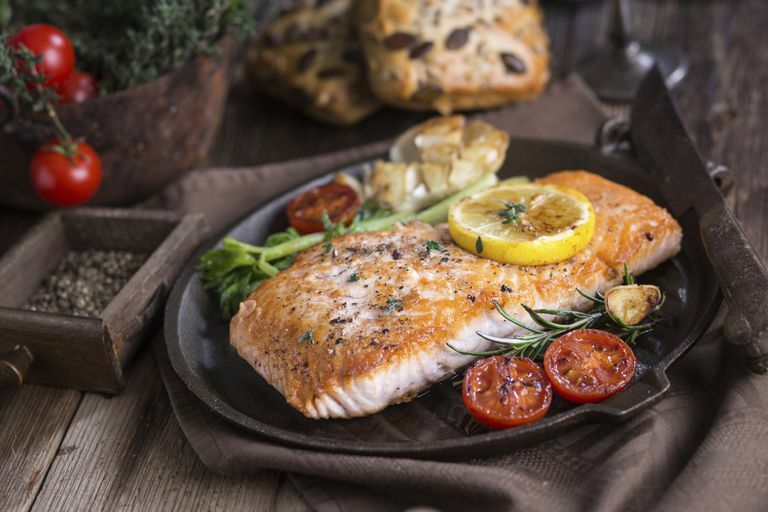 Pregnant and breastfeeding women, those who might become pregnant, and young children should eat more fish that is lower in mercury in order to gain important developmental and health benefits. How Much and Which Fish Should a Pregnant Woman Eat? The joint FDA and EPA draft suggests that pregnant and women who are breastfeeding eat 8 to 12 ounces of low-mercury fish each week. That’s about 2 to 3 servings of fish or seafood. Pregnant women (and everyone else for that matter) should avoid some specific fish, including tilefish from the Gulf of Mexico, shark, swordfish and king mackerel. And no more than 6 ounces of albacore (white) tuna per week. Fish and seafood are typically low in calories, high in protein and several vitamins and mineral. And since the fats they contain are mostly beneficial omega-3’s, most meat eaters would benefit from swapping out some of their red meat for fish. U.S. Food and Drug Administration. "FDA and EPA issue draft updated advice for fish consumption." University of Maryland Medical Center. "Docosahexaenoic Acid (DHA)."